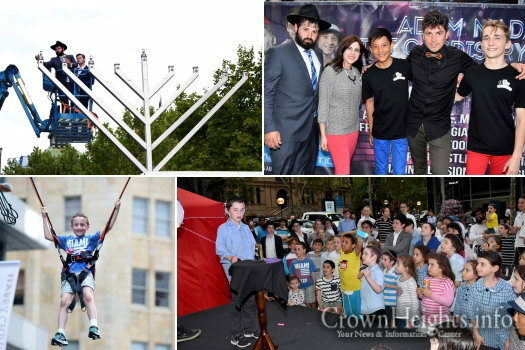 The 3rd night Chanukah, Thursday, was a special time in Sydney, Australia. 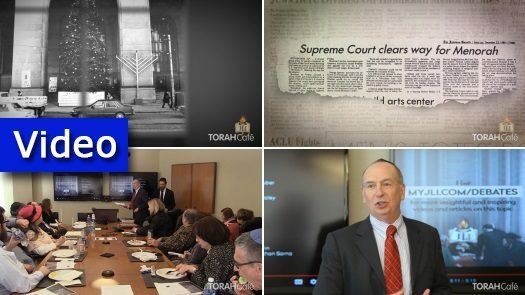 After weeks of preparations, fundraising, advertising, campaigning, building, cooking and drawing, the highly anticipated and longest-standing Chanukah event in Australia (going on 31 Years) finally arrived. 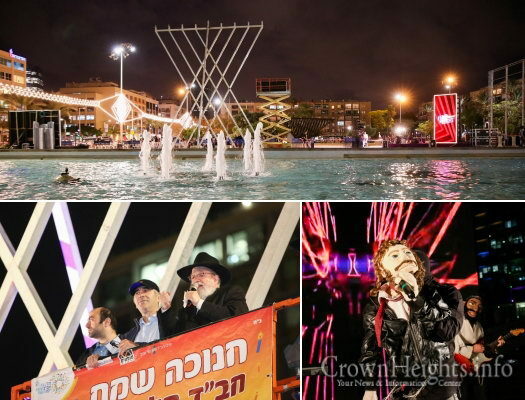 Chabad of Tel Aviv teamed up with the Municipal Government of Israel’s largest city to erect a large, beautiful and artistic Menorah in the center of one of the city’s most famous landmarks – Rabin Square. 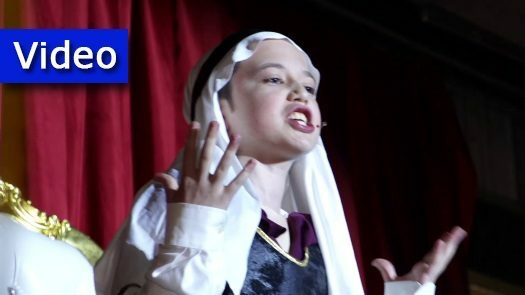 Tzivos Hashem presents this video of a cyber-rally for Jewish children all over the world in honor of Chanukah, led by Rabbi Shimi Weinbaum. 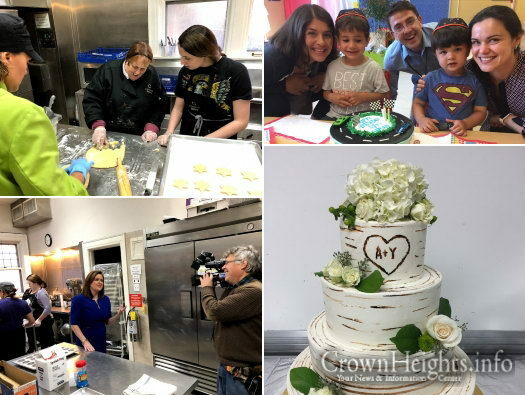 On the first light of Chanukah, a memorable celebration took place at the city hall of the second largest city in the United States: Los Angeles. 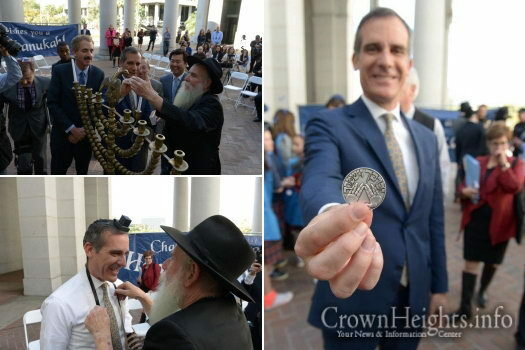 In attendance was the head Shliach of the West Coast, Rabbi Boruch S. Cunin, the first Jewish mayor of the city, Eric Garcetti, and many other prominent officials. 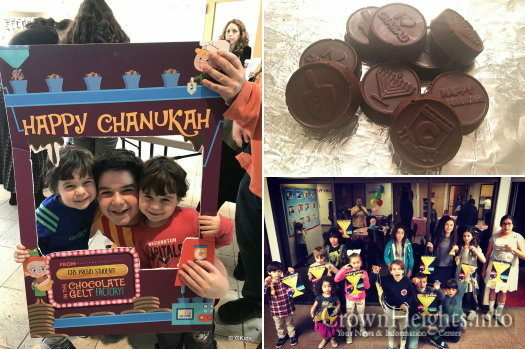 This Chanukah, Chabad Houses across the world launched STEM-based learning for the children of their communities in a science-meets-Torah project designed to literally “shed new light” on the holiday season. 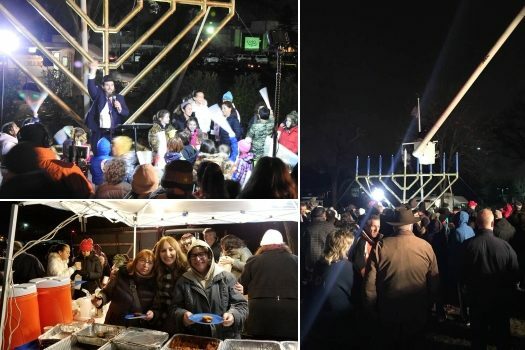 It was a cold, blustery Tuesday evening in Springfield, New Jersey, when hundreds of people gathered in Veterans Memorial Park to join together and light a giant Menorah for the first night of Chanukah. 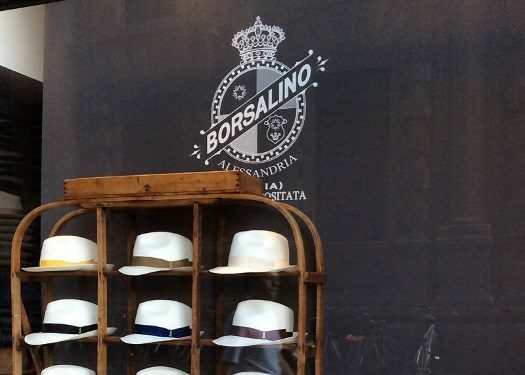 One of the world’s most famous hat makers, Borsalino, faces liquidation after a rescue plan was rejected by an Italian court on Monday. 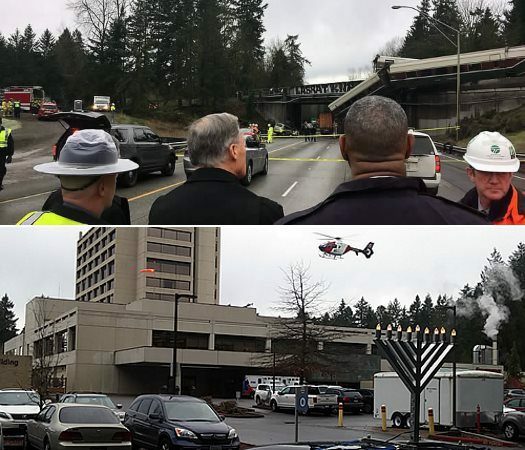 Giant menorahs in front of government buildings and in public squares have become a staple of the Holiday season and Jewish cultural and religious life, but the pioneering public menorahs of the 80’s faced stiff legal battles. 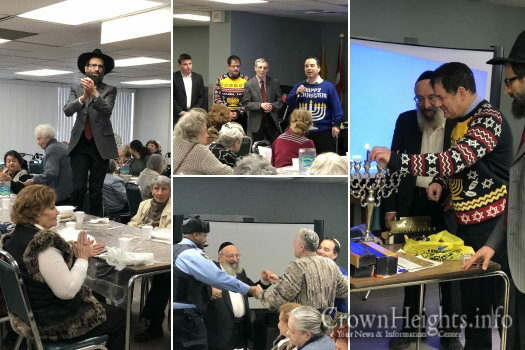 Canadian members of government James Pasternak, Michael Levitt, Monte Kwinter — the oldest Jewish Parliamentarian in Canada – and Candidate Roman Baber joined Rabbi Yirmi Cohen for a joyous Chanukah celebration for seniors. 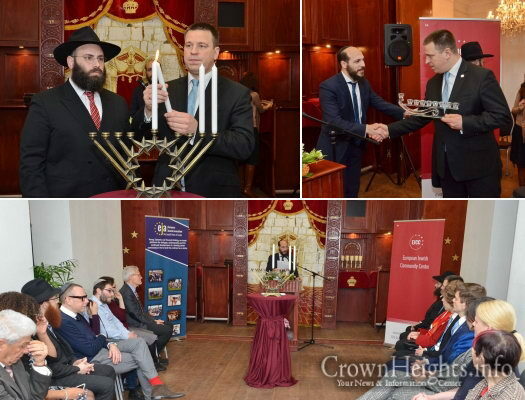 Mr. Juri Rates, Prime Minister of Estonia, who also serves as the rotating President of the European Union, visited the European Jewish Association in Brussels to light the Menorah.